Limitless, a major government related entity in the Dubai Inc, is understood to have approached lenders with a waiver request for the first amortization payment of $0.4 billion due in December 2014 under its 2012 debt restructuring agreement of a $1.2 billion loan. It was a similar waiver request in the past that had precipitated Dubai’s financial crisis beginning 2008. The $0.4 billion amortization is the first of three equal annual tranches from December 2014 to December 2016, Debtwire, which reported the possibility of such a waiver request, pointed out in a report last week. According to the report, Limitless is currently lagging on its asset disposal plan and has offered a small debt pre-payment in exchange for the approval to push back the amortization by a further 12 months. Similarly, Dubai World has requested proposals to manage $4.4 billion in loans maturing in March 2015 and reorganize its $10 billion repayment due in March 2018 amid slow progress on asset sales. The annual creditor meeting in April is likely to provide management with an opportunity to update its strategy. 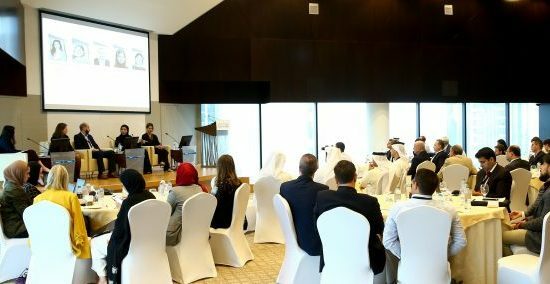 The news story stated that authorities were keen to avoid reputation risk ahead of the Dubai Expo 2020. The twin developments have prompted BofA Merrill Lynch analysts to express concern that Dubai’s restructuring of debt beyond 2015 is going to be challenging. Although they still expect Dubai to muddle through, they feel the current GRE refinancing strategy may be vulnerable if there are dislocations to global funding markets or shocks to growth. The backdrop of still tightening Dubai market spreads provides less attractive yield and risk-reward profile, a BofA Merrill Lynch report said. According to Merrill Lynch, the systemic nature, size and visibility of the Dubai World debt maturities are likely to prove a litmus test for the Emirate. “If Dubai successfully negotiates this delicate first turn in 2015 against the backdrop of an improved domestic economy and a more liquid banking sector, we see room for sovereign z-spreads to compress further. However, in our view most of the credit risk re-pricing already occurred. 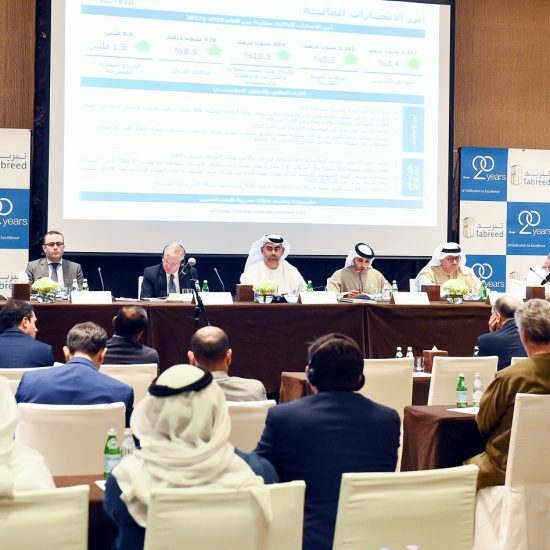 To grow out of its debt overhang, in our opinion Dubai needs a combination of internal cash generation, asset sales, refinancing, decent global outlook and liquidity, as well as potential Abu Dhabi support,” the report pointed out. Going forward, the Merrill Lynch analysts predict a multi-pronged strategic approach by the Dubai authorities to tackle the problem. These could involve continuing to keep bondholders whole, given the need of healthy GREs to access international debt markets; increase and upstream leverage at performing entities; and progress on non-strategic international asset sales, to the extent reasonable valuations can be achieved. They feel that the authorities may possibly hesitate on sales of non-controlling stakes in domestic “crown jewel” assets, which may be partially sold to strategic Dubai or Abu Dhabi entities. Alternatively, Dubai could pursue a (possibly partial) repayment of near-term maturities to boost domestic confidence and increase likelihood of refinancing any near-term shortfall (particularly the domestically owned portion) and renegotiate the longer-term maturities toward a more phased out schedule. Merrill Lynch feels that the servicing of restructured Dubai World debt is largely predicated on asset sales, given limited dividend income. “Our own reading is that initial disposal valuation assumptions on international assets may have been on the aggressive side. Indeed, a number of setbacks were recorded with international assets being seized by creditors,” the report points out. Based on publicly disclosed information, Merrill Lynch’s tally of Dubai World assets suggests that recent asset disposals net proceeds remain insufficient and that selling the 50% stake in City Center and 5.3% stake in MGM resorts appears essential and broadly sufficient to meet the bulk of the 2015 debt. According to its reading, the 2018 debt repayment appears unlikely to be met except through selling strategic assets such as DP World and JAFZA. If non-controlling stakes are ceded, Dubai World could combine fully repaying international lenders, with squeezing domestic banks into refinancing their exposure at more commercial rates, along with, as a last resort, activating the sovereign guarantee for any shortfall, Merrill Lynch analysts argue.